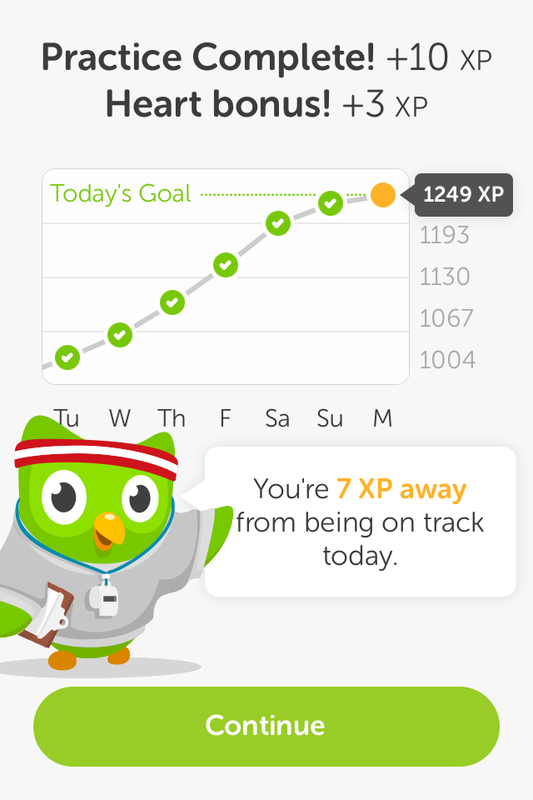 For the past several weeks, I’ve been learning Spanish with the help of the program Duolingo and its owl (búho) coach, Duo. This program – which is FREE by the way – has been an absolute godsend for me. Earlier this summer, I started working with a Spanish coursebook and a few CDs, but found myself getting bored and impatient, and the lessons weren’t really sticking. With Duolingo, I can log in to the app via my iPhone or to the main program from my laptop, track my progress, take quizzes, see a list of vocabulary I’ve learned, and tell at-a-glance which lessons it’s time to go back and practice. I get emailed reminders to log into my lessons, which get progressively harder as I increase my knowledge. As I work, I gain “lingots” – virtual currency which I can spend on outfits for Duo, extra “lives”, quizzes, and “fun” lessons like Flirting or Idioms. The app smartly allows users to make their experience more social if they choose. You can share your progress with your friends on Facebook, for example, or go online to access forums and recommended immersion programs. The best part of all of this? It’s FREE! You don’t have to spend a fortune on Rosetta Stone if you don’t wish. Give this a try first. Spanish isn’t the only language – find French, Dutch, etc. It is fun and a great stress-reliever. And the award-winning mobile version (which links to your usual account) is great for on the go. with the app you can practice speaking your chosen language, as well. Complaints? Sometimes the spoken portion of the app will be really lax about some words, and very picky about others! And occasionally, when I have to choose the correct words to make a sentence, one of the required words is missing from the options! These are relatively small compared to how much more comfortable I feel with Spanish now. And yes, I’m smitten with the adorable owl. Whichever language you choose, buena suerte! Hearing the Sunday announcement from the President brought me right back to my sharp memories of a horrible day, and some of the days that followed, as a 20-year-old college junior. How young I was then, how much I aged on that day alone. I won’t be devoting too much space to this topic primarily because this blog isn’t really for me to ruminate on current events. Now this event was so big and so important to me that I couldn’t help but write some public thoughts. But there’s only so much I can say that’s even useful (if that). So here are some thoughts from others that I consider worthwhile, if only because they made me think. I’m not offering my own opinions on these links because I don’t see a need for that. Sometimes it’s better to just observe, rather than look for a side to stand on. Roanoke Times: Learn a little bit more about the Virginia Navy SEALs team that performed this mission. CNN’s Belief Blog: A college student’s take on what the end of bin Laden means to her generation. CNN’s Global Square: Columnist Fareed Zakaria explains why he sees this as the essential end of Al Qaeda, first of a 3-part series. Washington Post: Harris Zafar, national spokesperson for a large Muslim community, answers readers’ questions and gives his take. As I told (typed to) a friend of mine in response to his criticism of White House and Ground Zero revelers, “My shouts of joy were not at the death of the monster specifically but at the small semblance of justice for all those the monster hurt. And for the little tiny ray of hope in me that (perhaps very blindly) shines on that not every monster can die of old age while still committing or at least vocally and continuously inspiring more heinous crimes. And I feel no sadness at his death, I feel sadness for all those innocents who died because of him. It is a shame that we live in a world where monsters exist at all but we do. Dead or alive the important thing is he is unable to hurt further. And yes I feel fear at the possible retaliatory reactions to his death, but right now my pride in our incredible Navy SEALs and CIA eclipses that.” I then added in my comment to him, people react to things in different ways, some more vocally or boisterously than others, some more quietly and sadly … and neither of those reactions are wrong in themselves (as far as I’m concerned). And yes, very proud I am to be an American as much as I was 10 years before … and for that, I’ll celebrate as much as I please – because I can. 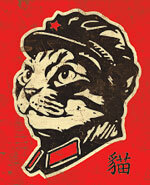 Kudos to Arlington news blog ARL Now for being awesome as always by originally linking to the article. The Perseid meteor shower was excellent, even though the sky was very cloudy! Eric and I headed out to Robyn and Derrick’s house in Fredericksburg to see it. They live in the woods, so we had a perfectly dark viewing platform. At a little after midnight, we wandered out onto their back porch with our beers and saw one meteor pass right through a break in the clouds. I was so excited! The four of us put a blanket on the sidewalk and saw several more over the next couple of hours as the clouds began to clear. The next day, we took a walk on the path that runs by the canal in the Fredericksburg area. 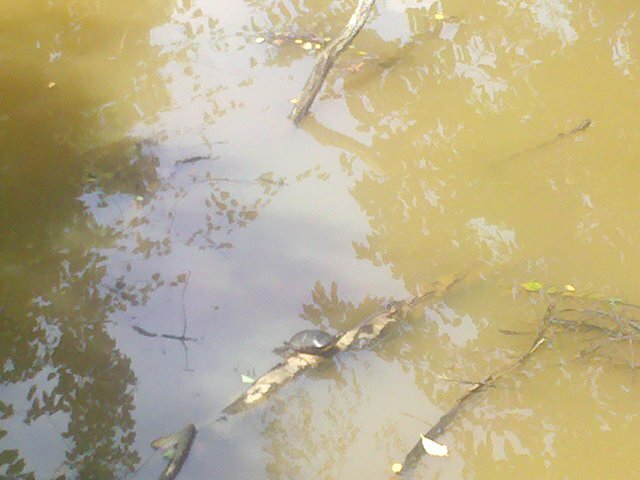 There are a TON of turtles out there, clustered on the rocks to sun themselves. Some of the turtles are quite large – easily as big as a dinner plate. We didn’t stay on the path long because it was just too hot. On the way back home, I decided on the spur of the moment to take a look at the old Chi-Chi’s building near Spotsylvania Mall (oh excuse me, Spotsylvania Towne Centre). Chi-Chi’s was an extremely popular chain of Mexican restaurants for a long time. Unfortunately, a devastating outbreak of Hepatitis A was traced to green onions from one of its restaurants in 2003, sickening over 600 people and killing four. All of its U.S. restaurants closed, although I still saw some overseas in both Brussels and Luxembourg City last year. Many Chi-Chi’s were left abandoned all across the U.S., some becoming serious eyesores (at least in the eyes of those who don’t like abandoned buildings 😉 Thanks to The Governess for putting up one of my (crappy) photos of the old Fred Chi-Chi’s at her blog, Creepy Abandoned Chi-Chis. I say that it was crappy because it was an overcast day, and I used my cell phone to take the picture. Don’t worry; I’ll go back. We have some problems with the balcony above ours that turned out to be pretty serious. I would like to thank my upstairs neighbor for slopping so much water on her plants that it dripped through a crack on her balcony onto my head and caused me to look up. I then realized that not only is there an opening between her balcony and the side wall, but the back corner of her balcony is a bit lower than the same area on the balcony next door. A support has been hammered in place for now, and we are staying off of it until Thursday when the building owner will come take a look. I won sixth place in a sweepstakes and I just got the prize check of … dun dun dun … $10! Hey, no complaints here. Watch a Hummingbird Guard Her Egg, Live! Thanks to Evan (read his blog here) for posting the fascinating live stream of a Channel Island Allen hummingbird in Orange County, California named Phoebe guarding two tiny eggs in her nest. The webcam’s owner has filmed Phoebe for about three years laying eggs and taking care of the baby birds as they hatch. Phoebe has been observed for at least seven years in the area. I kept this video up in the corner of my laptop while I worked today. And while I love wildlife and nature, this is far more riveting than I was expecting. Update 10:00 PM: It’s still up with one egg and “Phoebs” nowhere in sight at the moment. It will probably go dark on the West Coast pretty soon.